Getting the right nutrition from our foods is highly important. This culinary experience will teach you the importance of a range of foods for a healthier and more balanced diet. Discover the secrets of a great-tasting, healthy diet during this hands-on full day class. Prepare a variety of nutritionally balanced dishes – using fresh, readily available ingredients – and take home everything you make! Your lesson takes place in a top cookery school, dedicated to providing a high standard of teaching, in a home-from-home kitchen environment. Class sizes are kept small, so expect plenty of one-to-one tuition throughout the day. Over six hours, you’ll be taught to follow several simple recipes – including those for bircher muesli, home-made guacamole, roasted bass, Moroccan chicken fricassee and the perfectly poached egg. You’ll examine the importance of different nutrient groups, and learn to optimise their use in every meal of the day – from breakfast to supper. Vegetarian options are available by prior arrangement, and your freshly-made lunch includes a complimentary wine, beer or soft drink. Not only will you leave with a tasty Tupperware feast – you’ll also have gained the know-how to boost yours and your family’s eating habits forever. The Nutritional Cookery Masterclass, in Hertfordshire, is proof that healthy food need not be boring. An Experience Days voucher makes an ideal gift for those looking to make positive changes to their lifestyle. 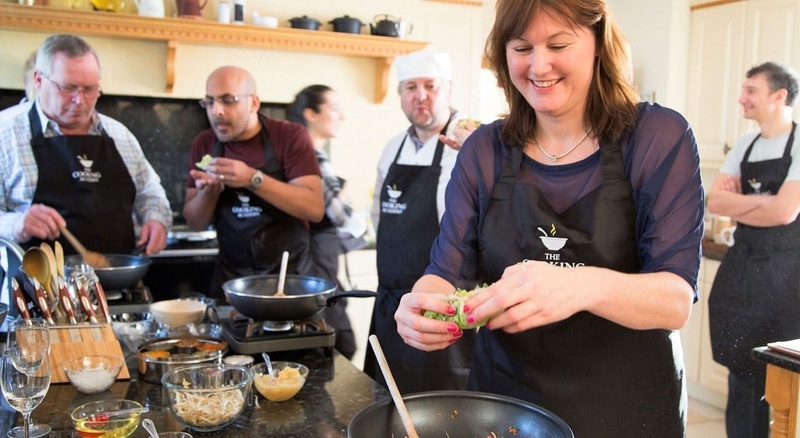 Participants: The Nutritional Cookery Masterclass Hertfordshire is for 1 participant.